Shofuan is a famous producer of incense, as well as traditional kimonos and accessories in Kyoto. 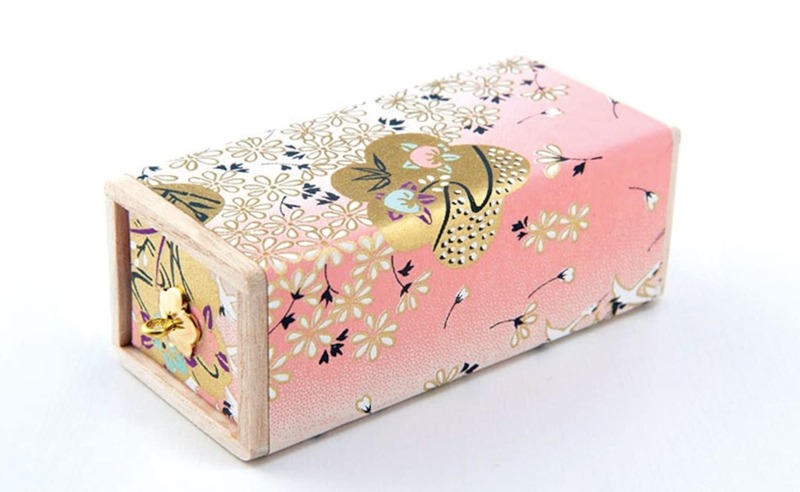 Kyoto has a very specific style, with beautiful motifs and bright colors creating elaborate patterns. 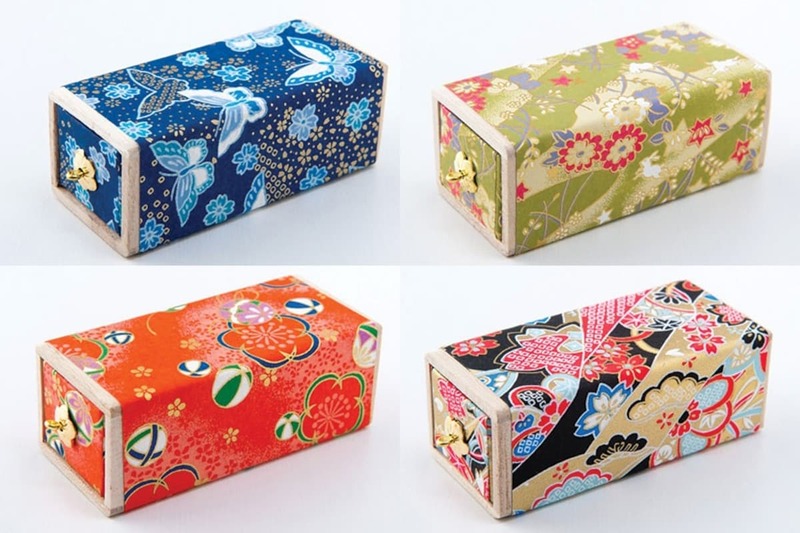 These Incense boxes have 12 variations, one for each month of the year, that match the seasons and events of Kyoto. January—Hatsukama: Join in the New Year's tradition in the style of a tea ceremony. These incense sticks bring the scent of ancient Japan, a calming and relaxing smell. February—Haru ha Akebono: The name of this incense means "spring is beginning." February in Japan is a time when the weather starts to get warmer and nature becomes more colorful. This incense smells like a forest. Soft on the heart, it's said to release stress. March—Gion Hanami Koro: The Hanami Koro is a street crossing Kyoto from north to south, with Gion forming its center and main street. The Gion district is a prime place for geisha (called geiko in this part of the city) and is also a national historical preservation district, with a number of old and beautiful buildings. This scent brings happiness with a rich, sweet and sensual perfume.